River safety? T-rafting is the first Tuscan rafting company to be part of the Safety Network, the hallmark of high quality services for those of you who want to experience fun Rafting, Kayaking or SUP river descents in absolute safety. 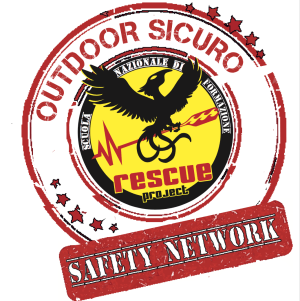 The Safety Network responds to the Scuola Nazionale di Formazione Rescue Project, with centres throughout Italy, which aims to provide advanced training in river and flood rescue techniques and produce specialists in river disciplines; the school directs its courses to the training of volunteer and professional rescuers such as firemen, civilian protection and Red Cross workers, the military, and river tour operators. The school is also recognized as a training centre for UISP canoeing instructors and white water training at the Italian Società Nazionale di Salvamento. All T-rafting guides are licensed professionals in river rescue, having obtained their river rescuer licenses from the Scuola Nazionale di Formazione Rescue Project, which they constantly update, continuing to train to guarantee the highest safety standards for their tour participants and partners. TrentinoWILD Village was the first center in Trentino to obtain this important recognition – Training Center and Headquarters of the Scuola Nazionale di Formazione Rescue Project. 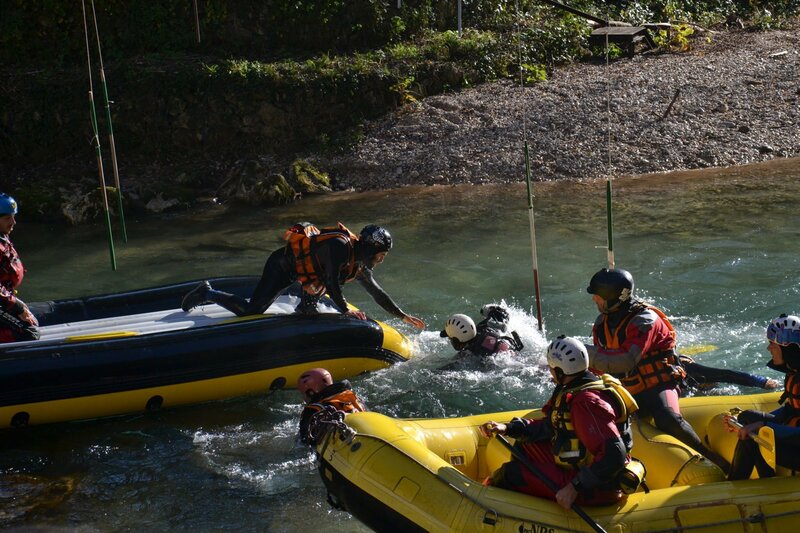 AqQua Canoa and Rafting Ticino in Lombardy promotes activities guaranteed by the Scuola Rescue Project – Rescue Project Training Center: Instructor Alberto Vincenzi. Centro Sport Avventura Liguria – Rescue Project Training Center: Instructor Walter Filattiera. This is the only rafting center to work in the winter. Centro Vivere l’Aniene Lazio, all their guides are qualified in rafting and rescue by the Rescue Project – Rescue Project Training Center: Director Fabio Mariano. RiverTribe Calabria, is a center run by professionals with a passion for the river. They organize expeditions all over the world, and the center is a beautiful place to relax and have a unique experience. Adventure Dolomiti, located in the Val di Fiemme rafting center and adventure park. This is one of the biggest adventure parks in Italy and thanks to its collaboration with TrentinoWILD, it operates under the Safety Network project. CassinoRafting is a rafting center in Lazio, made up of licensed guides certified by the Scuola Rescue Project, which offers safe, fun rafting experiences. Their recreational activities and professionalism make them one of the leading centers for water sports, and more.